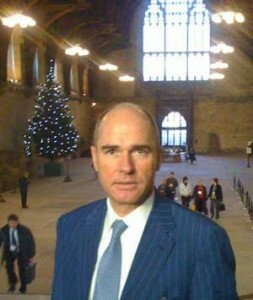 The World Security Network Foundation wishes you and your family from the Palace of Westminster in London: for the Christians - Merry Christmas - for the Muslims (belatedly) - Eid Mubarak - for the Jews - Happy Chanukah - for the Hindus - a joyous Makara Sankaranti - and to all a peaceful Holiday Season and a Happy New Year of 2010. The greatest danger confronting our world is moral relativism-the great challenge to all traditional values, which ultimately denies every absolute value. No longer able to believe in God and without religious grounding, it clings nihilistically to pure opportunism and materialism. The more materialistic our societies become, the more soulless they are. In prosperity lurks a spiritual vacuum. The human brain has, of course, recognizable boundaries in thought, analysis and evaluation. There remain many inexplicable phenomena-a fourth-dimension so to speak that should humble us all. We know that our cosmos has an end, however we cannot find it. We know that there is love, although we can not measure it. There are things which cannot be registered rationally and intellectually. This applies above all to absolute values which, through misanthropic systems of thought, either denied or even carried out ad absurdum as the practice of Nazism and Communism has shown. The worst part of the loss of belief is not that people no longer believe, rather that they are ready to believe everything and to fill their spiritual void with everything-even the inhuman. Humanity has a deep inner-desire for absolute values, not merely the material and transcendental. In the absence of positive deeper values, emotions and inspirations, we surrender the world to the power of negative influence. and to all a peaceful Holiday Season and a Happy New Year of 2010.